We had a legendary time at this past Saturday's "Fantasy, Folklore, and Fairytales" Reading Clubs! 832 kids, 370 volunteers, 29 teachers, and 51 parents joined us on Saturday - our largest May in 4 years. 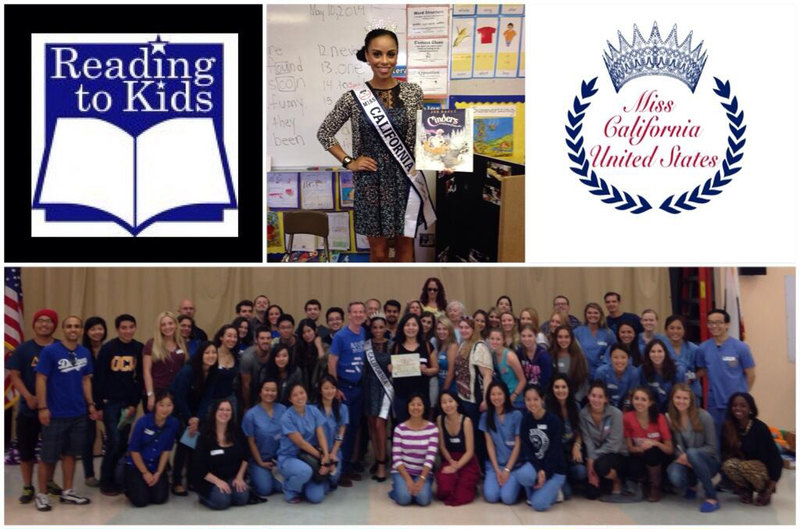 We had also had a very special reader at Los Angeles Elementary - click this link to see a tweet and photo of Miss California Brandy Fisher with the Los Angeles volunteers and the 2nd grade book! If you weren't able to make it last Saturday, we hope you can join us for our June 14th "Super Heroes and Super People" Reading Clubs! Be sure to sign up early, then please visit and join our Facebook event so your friends will see that you're attending and you can invite them to join you! It is our pleasure to thank the Employees Community Fund of Boeing California for their generous $5,000 grant! Once again they have chosen to partner with us in sharing the love of reading with thousands of LAUSD children, and we value their financial and volunteering support. We also send a very special thank you to Boeing employee and Reading to Kids Taskforce member Courtney Smythe for helping us earn this funding! Thanks, and we hope to see you at our June 14th Reading Clubs! - Thank You May Readers & Miss California!